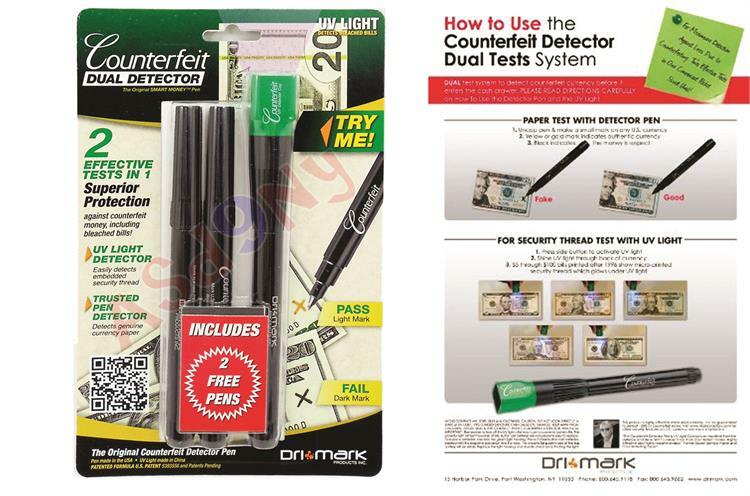 This UV Detection Pen is a great way to check IDs and licenses when notarizing documents to make sure that they are not fake. Customers will know that you are a legitimate notary public. This pen can detect hidden holograms embedded within drivers licenses. Also comes with pen and 2 FREE detection pens!.